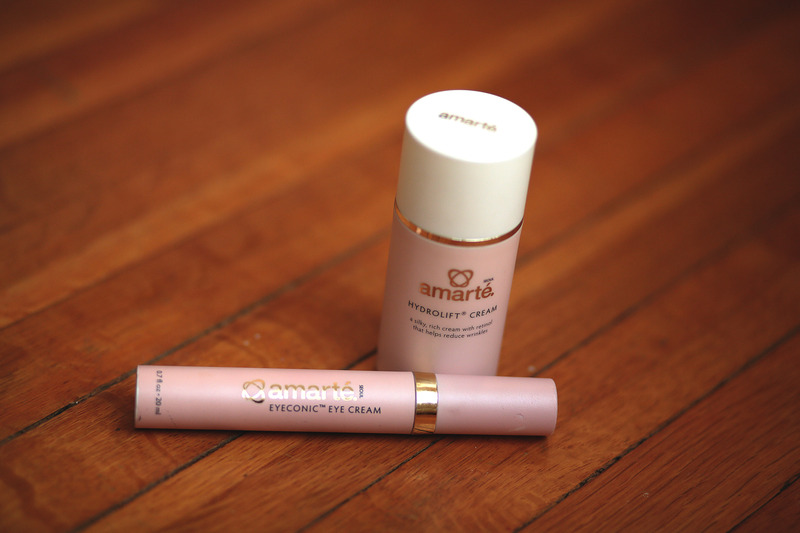 My two favorite products from Amarte Skincare so far, Hydrolift and Eyeconic! “Are you Korean?” is a question I hear a lot. I recently found out through my 23andme test that yes, I am in fact part Korean! Anyway, if you’re into skincare and beauty, you know that Koreans have advanced skincare products so much in the past few years, being the first to come out with beauty products like BB creams, for example. 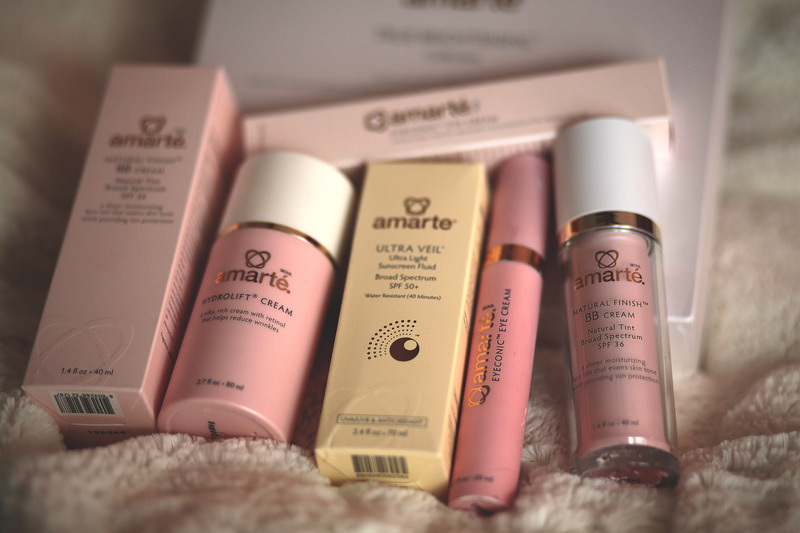 So when I was in search of a particular product with certain qualities, I started searching online and I don’t even remember where I came upon it, but I read about Amarte, and how they use natural botanicals that work WITH the skin, and advanced technology to create great anti-aging beauty products. I’m a bit of a beauty junkie, and will keep trying products until I find my absolute favorites. 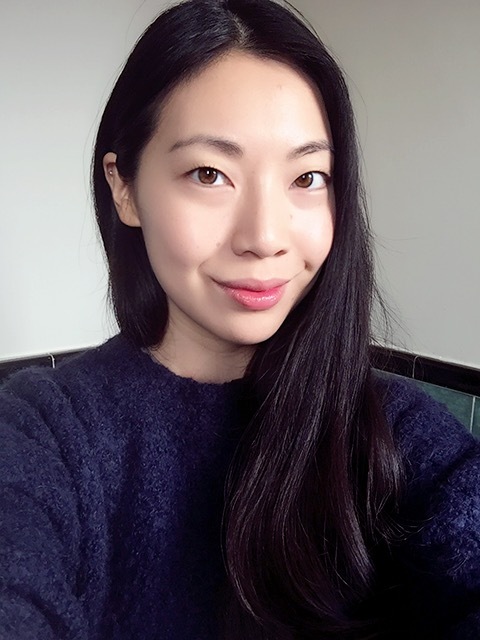 Because I have Asian skin which is a bit different than Caucasian or Black skin types, I wanted to see if using skincare products targeted more for Asian skin types would make a difference. I’d been using some different store-bought lotions and creams for my face, and I wasn’t satisfied with the results. I felt like they didn’t sink in, and were slightly greasy, and left my skin still drier than I wanted. I was in search of a facial serum with retinol for anti-aging, and also a moisturizing eye cream. So I started searching and read about Amarte! I decided to start with Eyeconic and Hydrolift from Amarte, and see how well they worked. All I can tell you is, wow. 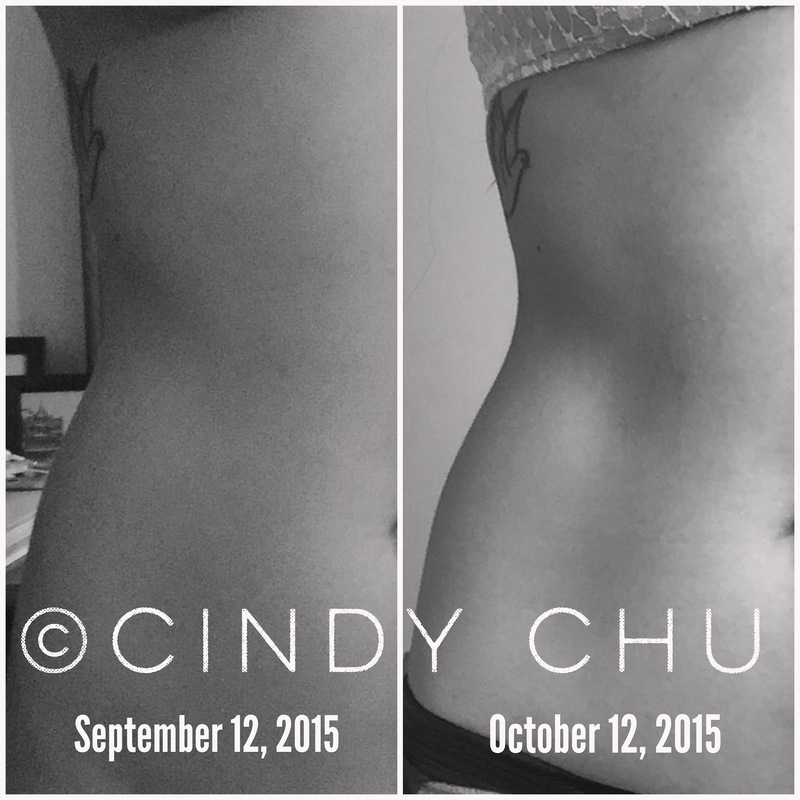 The difference was immediate! The skin on my face had been a bit greasy but also flaky, and the skin around my eyes had seemed papery and dry. Since adding these two products to my regimen, I have noticed much softer, hydrated skin, without the flakiness or greasiness. In fact, I feel that they sink right in and absorb quickly, and my skin immediately feels plumper and softer. 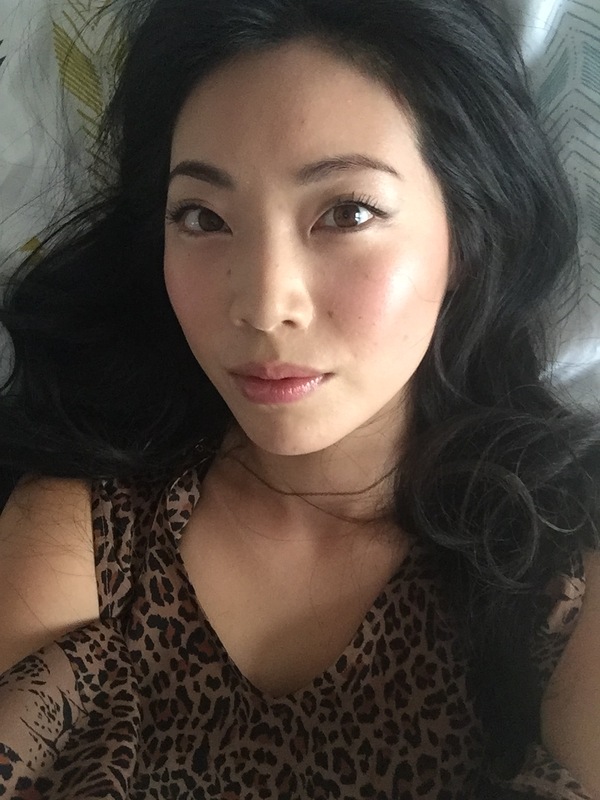 I also realized they are a great primer, as when I was filming on one of the hotter days in LA recently, my makeup held up really well! It didn’t melt off. See? Over 100* and it lasted through the shoot. Go Amarte as my base layer! Someone on Twitter asked me what I had used that day on my face, and I listed everything, and Amarte reached out to me and wanted to let me try some other products as well. 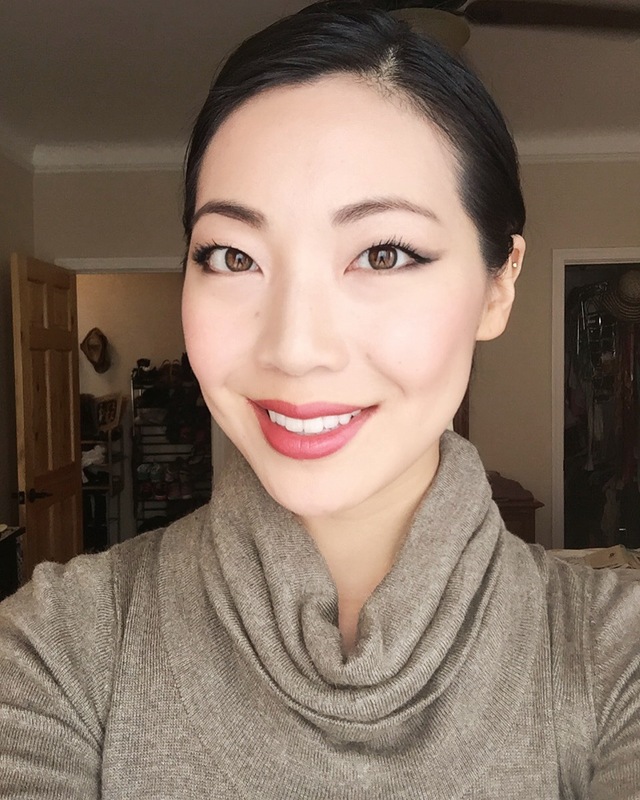 I’ve added in the BB Cream for days I don’t want to do full makeup, and here are some pics of me with Amarte products on: Hydrolift, Eyeconic, and the BB Cream. Just Amarte’s Hydrolift, Eyeconic, and BB Cream for a light and natural look with some light coverage. 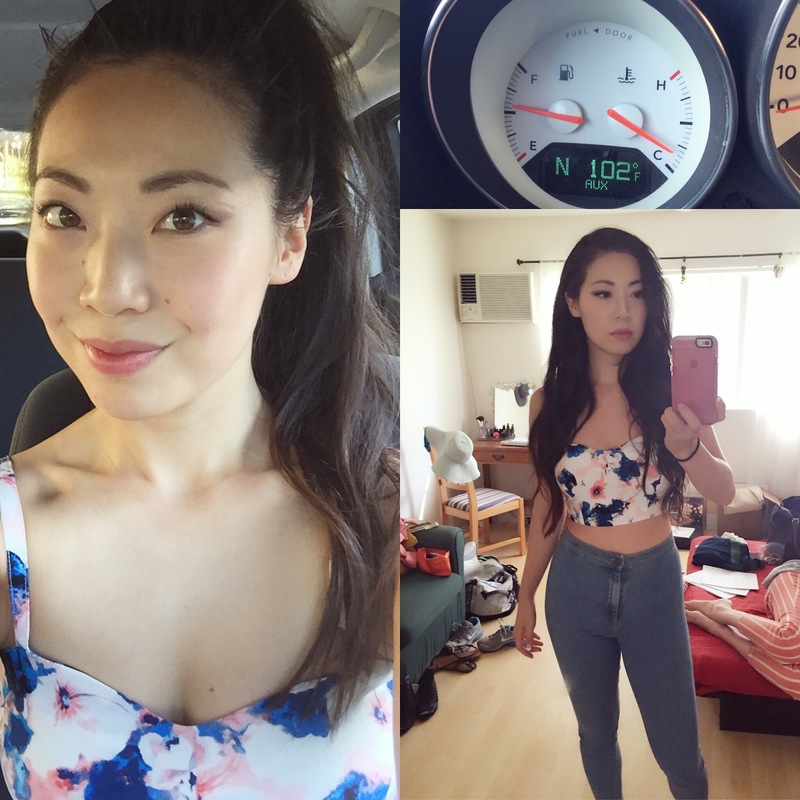 I also used Amarte before makeup here, which helped create this flawless look for an audition. I have yet to start implementing the Brightening line, but am looking forward to adding it to my beauty routine and will post another update after having used those particular products for a time, too. I’ve even been told by friends that my skin is so nice when all I’ve had on was Hydrolift and Eyeconic and no makeup! Well, now you know the secret and can try it out yourself. What are some of your favorite beauty tricks/products? What beauty questions do you have? Subscribe to my blog so you can be notified of updates and as always, feel free to leave any comments or questions! ***I am not being paid by Amarte, although I did receive some products to try, which I will give an honest review about. I will be posting another article about more of my beauty must have’s very soon, so stay tuned! Well, if you’re anything like me, sometimes (a lot of times) you fall into a lazy slump. You’re not motivated to workout and you let yourself eat all your favorite junky foods 24/7. Maybe once in awhile you make a halfhearted attempt at going to the gym, like in January when everyone makes their New Year’s Resolutions they forget about two weeks later. But do you want to know what one of the number one reasons people fail at losing weight is? They fail to sustain their healthy habits. They let one cheat meal pull them off the wagon and they go on a long bender again. It can take just three weeks to form a new habit. Three weeks. But are you ready to commit fully? Are you ready to make healthy changes in your life permanent and a part of your routine? 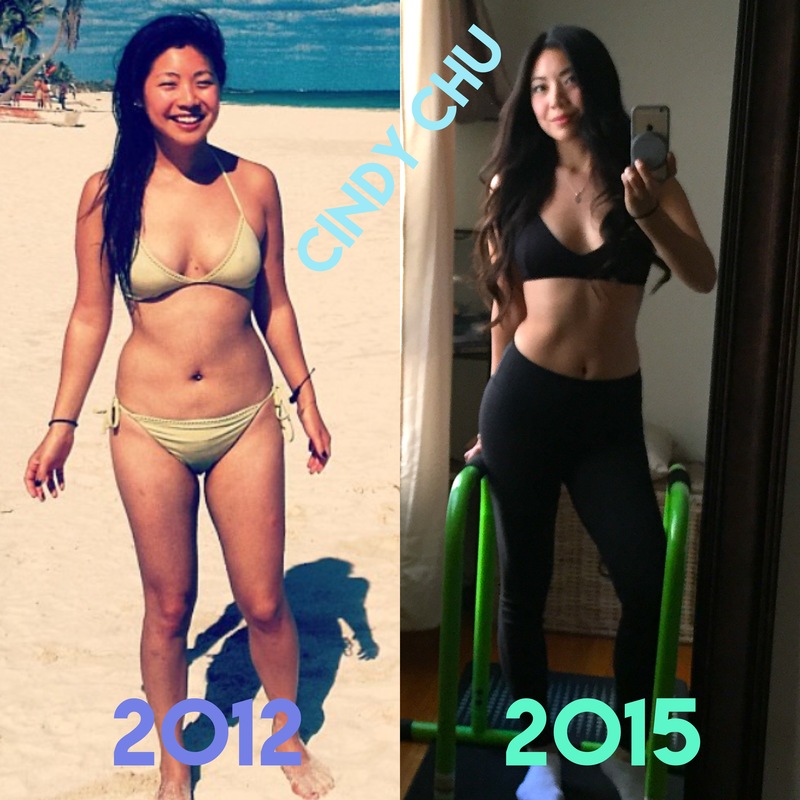 I’ve been on this journey most of my life but it wasn’t until the last few years that I’ve learned how and why people should eat healthy most of the time. I’ve read numerous books on nutrition and healthy eating, and even completed a certificate course in nutrition. Now that I’m armed with more personal knowledge about why I should eat a certain way, I’m able to implement it into my life as a WAY of life. Do I still eat “unhealthy” foods sometimes? Absolutely. I encourage you to, as well, but the key is to make that kind of meal a deliberate choice, a “cheat meal”, a treat, and not an every day occurrence. The rest of the time, I make pretty boring eating decisions. Cereal with some fruit for breakfast, with nut milk. Lunch of eggs and veggies, maybe some chips and salsa or hummus. Dinner? Salad or veggies and a veggie burger patty. I have “cheat meals” a few times a week, maybe donuts or french toast one morning on the weekend, a slice of pizza for dinner on Tuesday nights, but I don’t keep this kind of food around at home, nor do I let myself eat that way all the time. I do keep healthy snacks around, though. Protein bars made with a base of nut butter, jars of raw nuts, fresh fruit, carrots, etc. 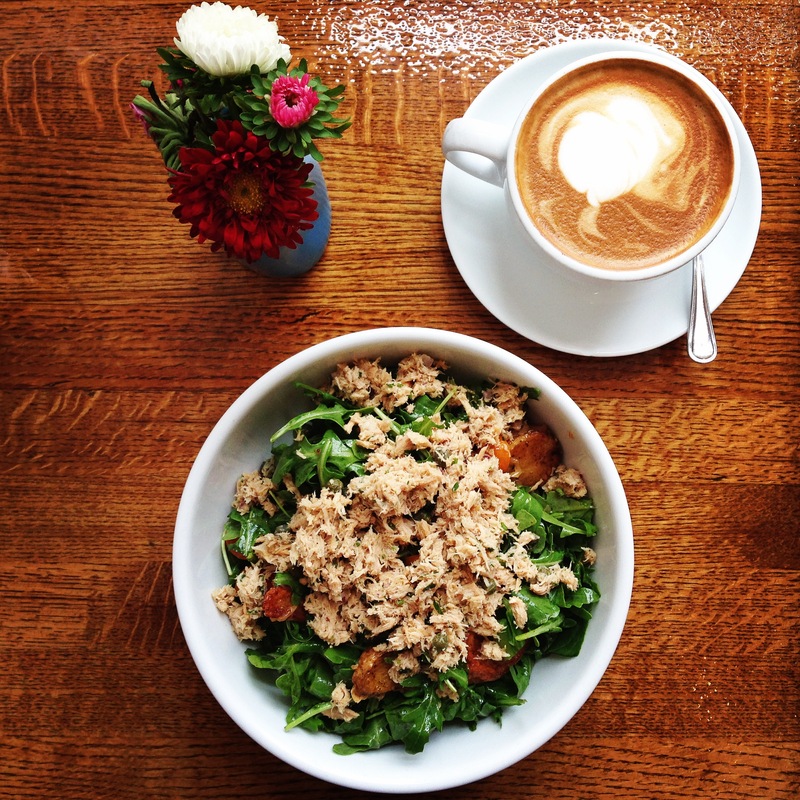 If you want to lose weight, the first thing you should do is fix your diet. Change the WAY you eat. Erase what you’ve been doing and start over and build from a healthy base. Eat nutritionally dense foods, basically the closer to nature it is, the healthier, rather than processed food. Make spaghetti squash with sauce instead of having white spaghetti, eliminate all that white bread you eat daily, get rid of the sugary drinks and sodas (maybe swap for something like La Croix if you love your fizzy water), eat more veggies, cut the butter and dairy, cut the desserts except for a couple times a week at most. 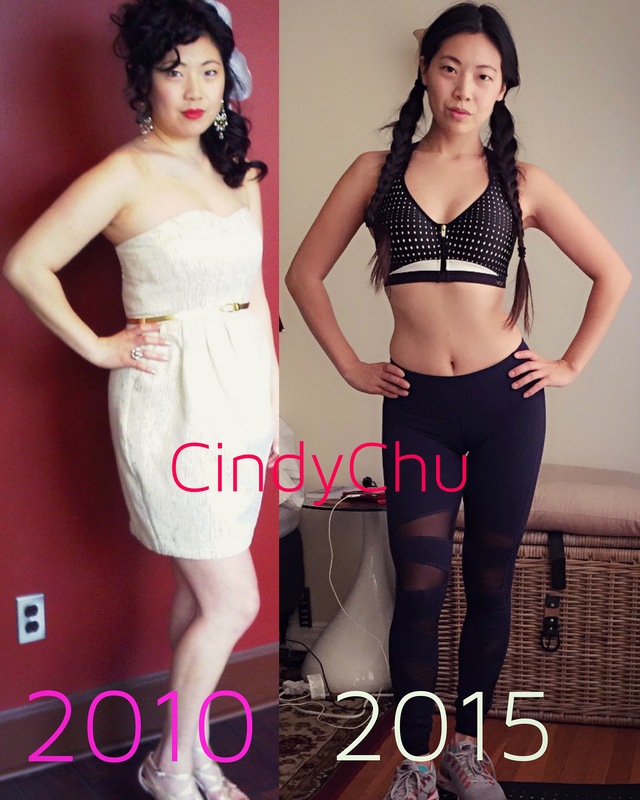 When I initially started on this most recent and effective leg of my journey to health, honestly I initially lost much of my weight through diet alone. 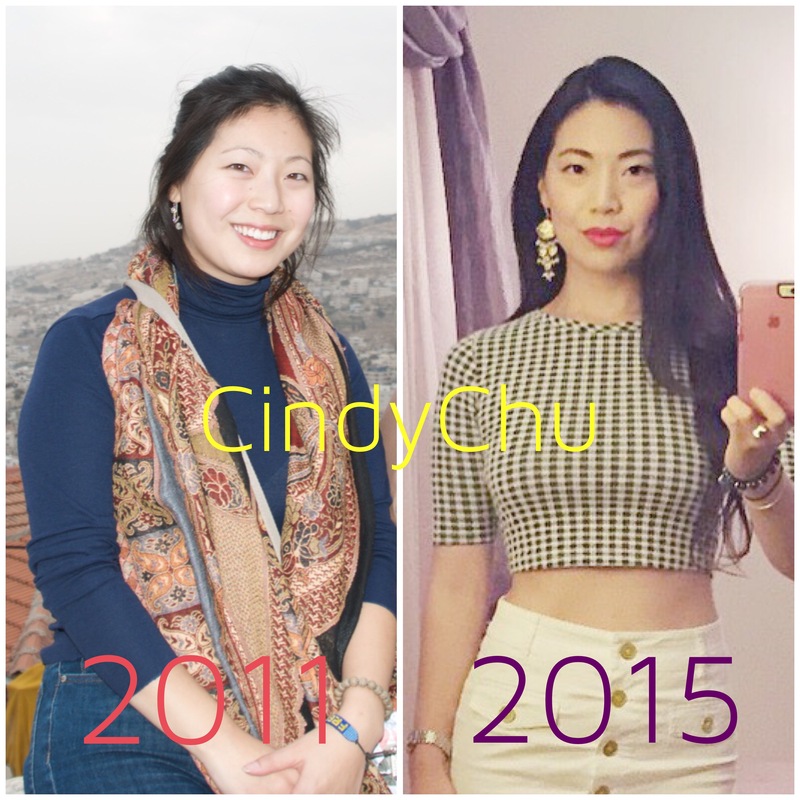 I learned how to eat better and eat well, using some very simple concepts, and within a couple months most of my extra weight had been utilized by my body and burned away. I didn’t have much muscle mass then as when I was heavier, I hated exercising, so I didn’t really, and I became what I call “skinny-fat”. I had dropped several sizes, but I felt like my skin was loose and jiggly, and everything was too soft for my tastes. About a year after I’d dropped the weight I had moved to Los Angeles from Ann Arbor, MI. Everyone here was so active, and I felt like I had no more excuses. I had to make exercise part of my life. And so I’ve been working on finding what works for me, and I’m starting to see results. But I’ll save that for another post. Will you join me in pledging that you will work on making healthy changes in your life so that you can honor your one body you have for this life? Will you join me in adapting your habits and picking up newer, healthier ones? If you have any questions, please ask and I will address them in later posts. This is more of an introductory post to get you excited to join me in your own journey to health. I’ll be posting about my workout routine and what I’m specifically doing at home, with very little equipment, to help get you started with your own exercise routine. So I used to be a little heavier. The pic on the left is from 2010. I was still happy then, too. 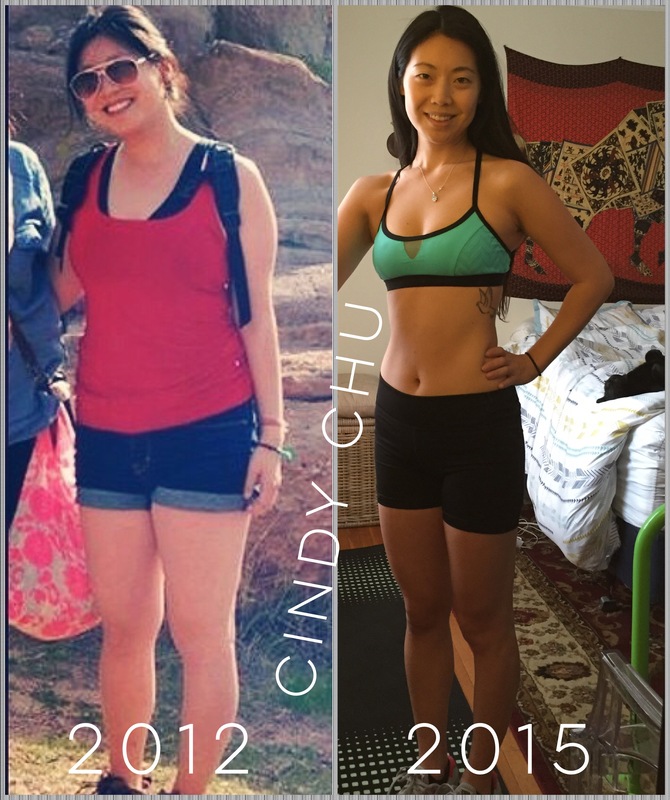 The only big difference was I wasn’t making time for myself to keep health a priority. I was always tired and a flight of stairs made me winded. I always ate what I craved, and also mindlessly snacked at work on production jobs where I had to sit for 12-15 hours a day. It wasn’t until 2012 when I saw a good friend change his habits and drop 40 pounds I didn’t know he had to lose that I even thought it was possible for me to get to a healthier place, too. It’s not easy to keep myself on a workout routine or to choose healthier meals when I’m out, because life is short and sometimes we want to be lazy or eat delicious, rich food. But I decided in 2012 that it was possible to lose weight, and then in 2013 I decided it was possible to get in better physical shape so that I can run up and down stairs without feeling like I couldn’t breathe, and to feel healthier and stronger and in control of my body. I did have to make a lot of changes in my habits to get to where I’m at today and I’m still not done. I have goals like “do a pull-up from a dead hang” or “do a one-armed push-up”, etc, and build a better core. But the key here is I’m doing it for me. I’m doing this because it’s what I want. It makes me feel stronger and healthier. But at the end of the day, humans come in all shapes and sizes! And that is OK! There are people bigger than me or with a higher BMI who are stronger and fitter than me. I know friends who some may say are fuller-figured who can run marathons around me and I wouldn’t be able to keep up at all. And you’re all beautiful. If you aren’t feeling your healthiest, you can make changes. If you feel awesome and are happy where you’re at, don’t change or crumble because some terrible person judged you who doesn’t even know you. Be the best you for yourself and others, and don’t worry about the rest. Being skinny isn’t some amazing feat to brag about, and nor is making people who are different than you feel less than. You never know people’s stories, so don’t make assumptions about their laziness or think they don’t have feelings about their bodies. We all have body hangups, and negativity doesn’t help. Be encouraging, be helpful, be positive. It’ll go a lot farther than a mean video, and I’m not talking about views. Let’s all love our bodies!